In musical worship, song selection is critical. Songs are the fundamental building blocks of our worship services. They are the tools with which we help our people see, savor and sing to Jesus. The stronger our songs, the more vividly we can paint the nature and character of God, and the more passionately our people will respond in worship. The model of Biblical worship always begins with a revelation of God, followed by a response of awe-inspired worship. Whether it was Peter on his knees before Jesus (Luke 5), Isaiah in the Temple (Isaiah 6), or the Living Creatures in Heaven perpetually falling on their faces (Rev. 4), Biblical worship is always revelation, then response. If we want our people to worship passionately, we must help them see Jesus clearly. Songs are the means by which we do that. Biblical worship is always revelation then response. If we want our people to worship God more passionately, we must show them God more clearly. Since songs are our tools to showcase Christ, then it follows that the stronger our songs, the stronger our churches response in worship will be. To that end, we should strive to select songs that are clear, cohesive and compelling. Songs with lyrics that are sharp and pointed; that cut to the heart. Songs where creativity paints in surprising and beautiful ways, the glories of God in the Gospel. When you artfully string together a set of clear, compelling, Christ-centered songs, it’s almost impossible for your congregation to not see and react to the glory of God! Ask yourself: Are the songs you are singing potent or diluted? Sharp or dull? Vivid or muted? Clear or vague? The stronger our songs, the stronger our churches response will be in worship. We all want our people to be emotionally stirred during worship, but we shouldn’t rely on the subwoofers to move them. Instead, we must help them see the deep truths of the Gospel, to feel the weight of God’s love and power, and be moved by the truth of God’s Word contained within our songs. There are many vague contemporary worship songs, swimming in the shallows, stringing together seemingly unrelated Christian phrases with no clear point to them. If analyzed under a critical eye, these songs contain no lyrical content or deep truth to stir up our emotions. So we rely on sophisticated arrangements, louder sound, and fancier lighting techniques to move our people to a response. These techniques are not wrong to employ, but when decoupled from deep, powerful, truth-packed lyrics, they are only a shortcut to an emotional response. Similar to eating fast-food because it’s easy, even though it lacks the nutritional value our bodies need to be healthy long-term. As shepherds who feed God’s flock, we must do better than this. If we want our people to feel deeply, we must help them think deeply. I like to think of songs entering our ears, being processed intellectually by our brain, and then transferring that truth down to our hearts where we feel an emotional response. Truth is processed first in our head, which leads to feeling in our heart. When we sing about the love of God in a clear and compelling manner, our people will be moved by the Truth of God’s word, which will result in a strong emotional response. This is how we help our people worship in Spirit and Truth. That is why we must pick songs with strong, clear, and compelling lyrics. Strong truth evokes strong emotion. Besides the fact that strong songs have the pragmatic effect of creating a strong response, we also must realize that all songs teach. For better or worse, the songs we choose inform our people’s theology. James says, “Not many of you should become teachers, my fellow believers, because you know that we who teach will be judged more strictly,” (James 3:1). Songs are one of the strongest mnemonic (memorization) devices. That is why teachers teach children their ABC’s through song, because we learn by singing and repetition. We who decide which songs our people sing, are by the very virtue of what we are doing, teachers. The songs we insert into people’s hearts will go with them and influence them for the rest of their lives. That is a sobering truth that should cause us to take a longer look at our songs’ lyrics. In a similar vein, people carry songs with them through the highs and lows of life. We are giving our people a worship vocabulary to carry them through things like divorce, cancer, disappointment, wayward children, and even death. When we select songs for our church to sing, we need to give them sturdy lifeboats that will carry them through the storms of life, and conversely, give them a vocabulary of praise for the good times. Before we conclude, it would be good for me to give you a list of characteristics of strong vs. weak worship songs. In an effort to not offend any songwriters, I will abstain from giving you specific examples, but as you look at this list, try to think of a song that might fit each category. ***One caveat to the above list: Me-Centered songs are an important part of worship in that we “confess, consecrate, and commit ourselves to the Lord,” but too many of them in a worship set can make for a me-focused time of worship. I realize that this article dealt almost exclusively with lyrical content and didn’t touch on the other factors that contribute to a strong congregational song (like melody, range, syncopation, etc). But we have already covered those topics in detail in THIS ARTICLE. Presently, I am simply trying to encourage you to look at songs as the fundamental building blocks of your worship gatherings and to make sure you are choosing the strongest bricks possible to build your church up in the faith. 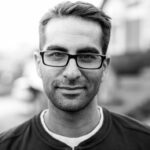 I realize this is one of the “weightier” articles we have posted, but I think it is important that we feel both sides of that weight. What an incredible privilege and honor that God would trust us to teach, feed, and help His sheep know Him through song! And yet, what a great and awesome responsibility! Let us do it with all seriousness and soberness! Thanks so much for that encouragement. I would greatly appreciate some ideas of songs that you would use. I am finding it hard to find strong worship songs. Thanks Luella…I sent you an email response to your email address. God bless! Hi Alex . I totally love this site. It’s very informative. Thank you for sharing. I really appreciate it a lot. I’m a keyboard player and the transition podcast is very helpful . 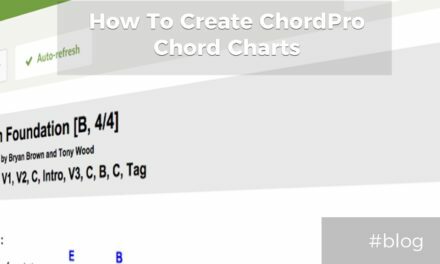 Where do I find the relative chord charts? I’d love to hear more from this site. Tips and suggestions are great! Keep it up Alex! I’ve been listening since almost the beginning and I look forward to every episode. I just shared this one with my team and I am looking forward to implementing these ideas!